UPDATED: The full report has been publicly released. 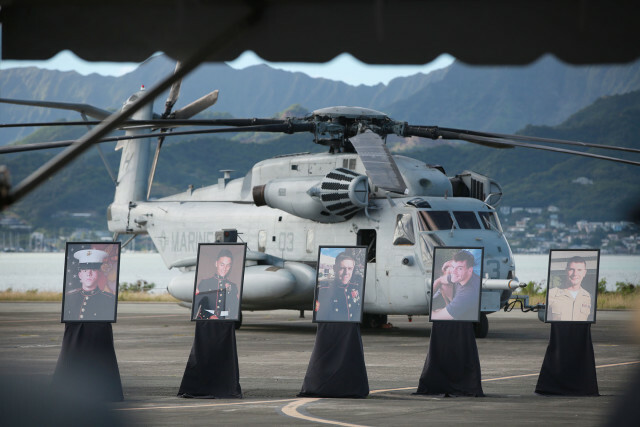 The collision that claimed 12 lives in Hawaii highlights systemic problems that have plagued the Marine Corps’ heavy-lift helicopter program in recent years. 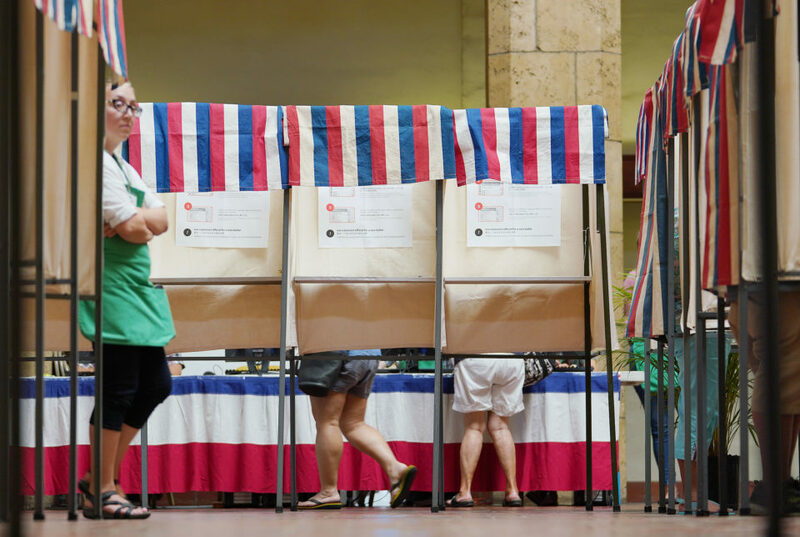 Editor’s Note: This story, exclusive to Civil Beat and HuffPost Hawaii, is being published with permission from the Investigative Reporting Program at the University of California, Berkeley. A Marine investigation of a deadly 2016 helicopter collision off Oahu found that pilot error, lack of training and command problems were to blame. The findings are contained in a report obtained by the Investigative Reporting Program at UC Berkeley. 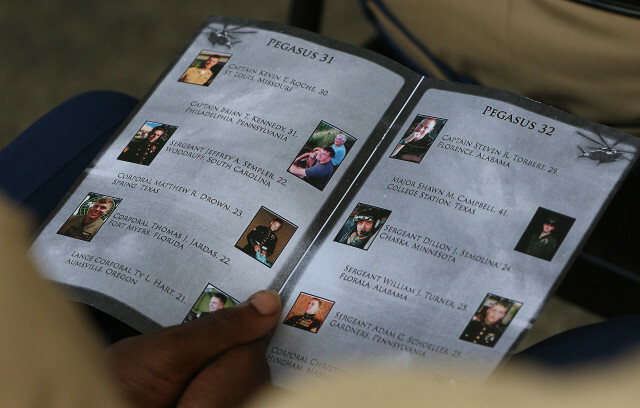 The families of the 12 victims were recently notified of the Marines’ conclusions. The two CH-53E Super Stallions, the oldest and largest Marine helicopter, were conducting a complex nighttime training mission, flying in formation, when the trailing aircraft slammed into the lead. 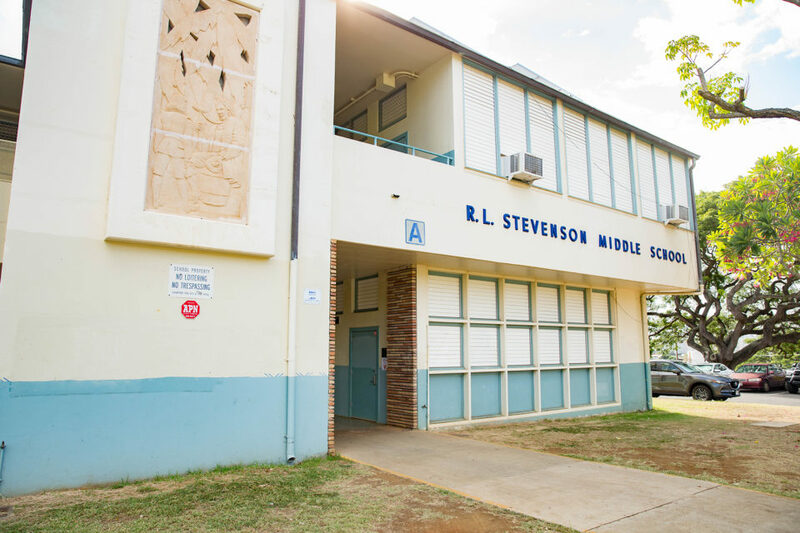 Witnesses ashore heard and saw a fireball over the water, about one and a half miles from the town of Haleiwa. The impact of the two Super Stallions resulted in a violent explosion with forces “estimated at hundreds of times the force of gravity” and “instantaneously” killed all aboard, according to the report. 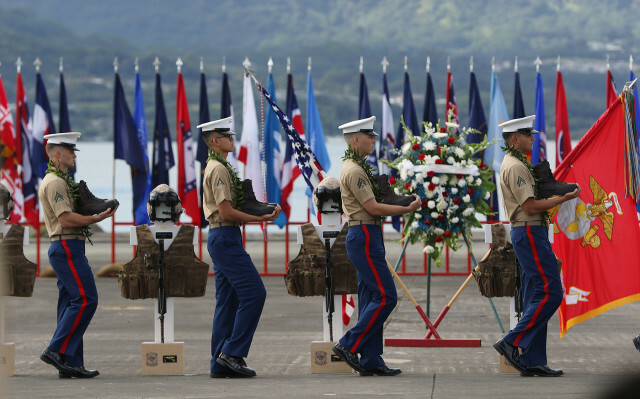 A memorial service for the 12 fallen Marines was held at the Marine Corps base in Kaneohe in January 2016.. Months of salvage operations, forensic investigation, interviews and data analysis determined the cause of the accident to be pilot error. 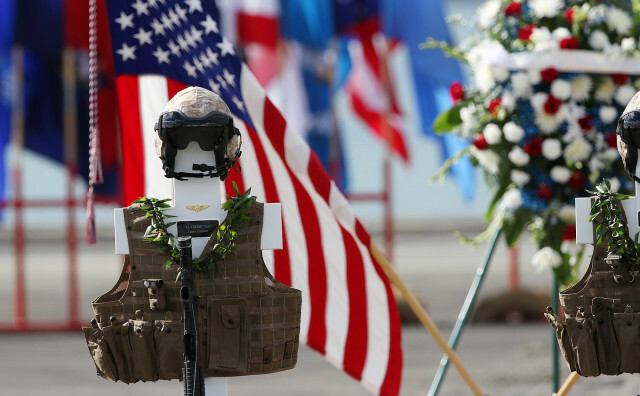 The investigation into the Hawaii crash found no evidence suggesting that either aircraft suffered a mechanical failure. But the report highlights a squadron with significant problems including low morale and complacency. 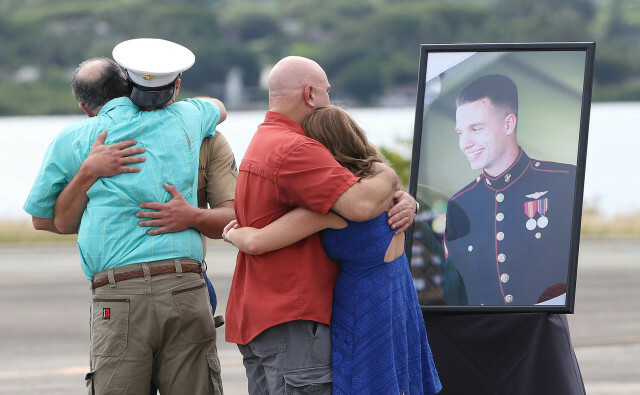 On Tuesday, Marine officials released a brief statement via email that said “low aircraft readiness leading to inadequate pilot efficiency, human factors, and the squadron’s lack of focus on basic aviation practices” were the main factors that contributed to the crash. UPDATE: On Thursday, the Marine Corps publicly released the full report on its crash investigation. It includes hundreds of pages of backup material, including hundreds of photos. The report is available here. 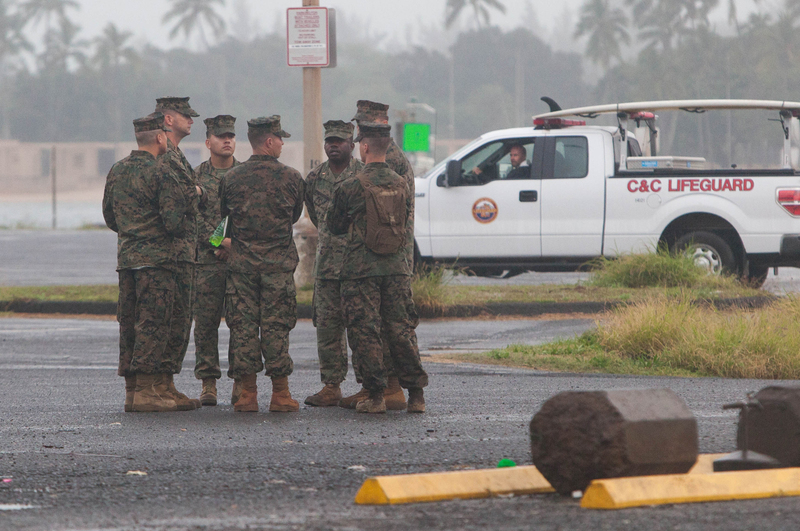 The pilots from Marine Corps Air Station Kaneohe Bay hadn’t flown enough in the weeks leading up the crash to be proficient, according to the investigation. The four pilots had flown for “4, 5, 4, and 13 hours” in the 30 days preceding the mishap. 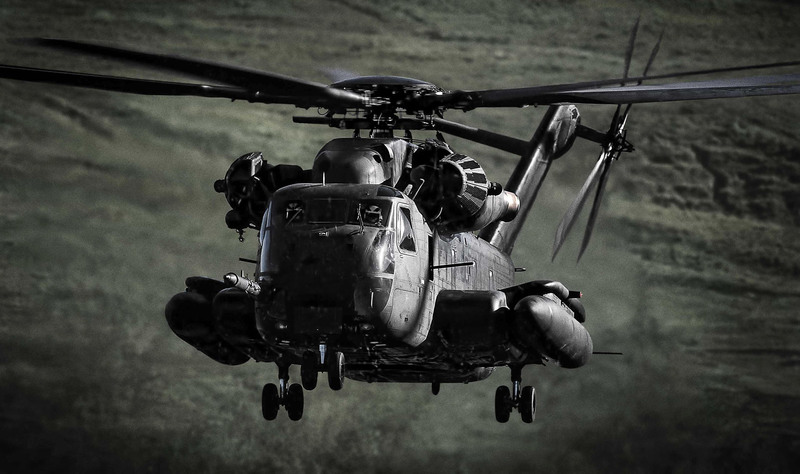 The Marines’ goal for CH-53Es is 15.1 flight hours per month, according to Capt. 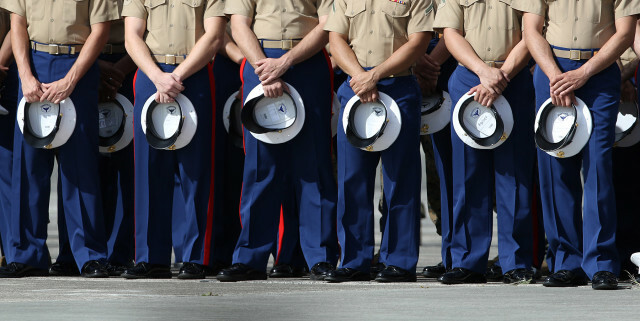 Sarah Burns, a Marine spokesperson. Many pilots in the squadron felt unprepared, concerned that they were not logging enough flight training hours to be confident to execute basic tasks. Two pilots were not “adequately proficient” in the use of night vision devices. One of them had only flown 2.8 hours at night in the preceding 90 days, with two of those hours coming the night before the fatal crash. The other had logged zero night hours in the previous three months and had not worn night vision goggles in the “local flying area” in over a year. “For an aviator with only 2.8 hours of NVD flight in the last 90 days to be put on a nighttime tactical formation flight using NVDs is extraordinarily irresponsible, bordering on criminal negligence,” Chris Harmer, a senior naval analyst at the Institute for the Study of War, said in an interview with the Investigative Reporting Program. According to the report, by January many pilots in the squadron felt unprepared, concerned that they were not logging enough flight training hours to be confident to execute basic tasks, such as safely landing a helicopter at night. Marines use the Super Stallion to carry troops and haul heavy equipment. Radar data showed that the follow aircraft, known as Pegasus 31, fell behind the lead aircraft, Pegasus 32. In an attempt to maintain proper formation, Pegasus 31 accelerated toward Pegasus 32 just as the lead aircraft was making a sharp left turn. The two aircraft collided approximately 1,500 feet over the water. 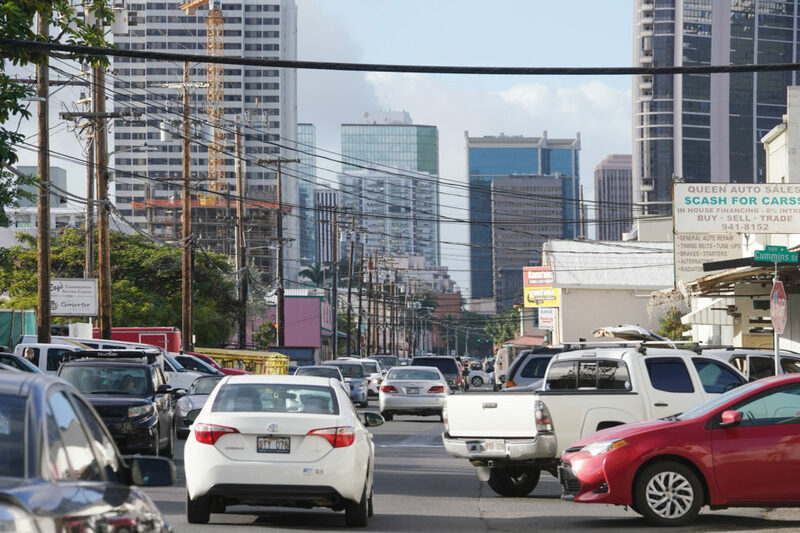 At left, the flight path of the two helicopters shows their journey from the base at Kaneohe along the North Shore. The location of the collision is at right. While the report found that the pilots met qualifications, it concluded that they may have been better equipped to avoid the crash had they logged more recent night vision flight hours. 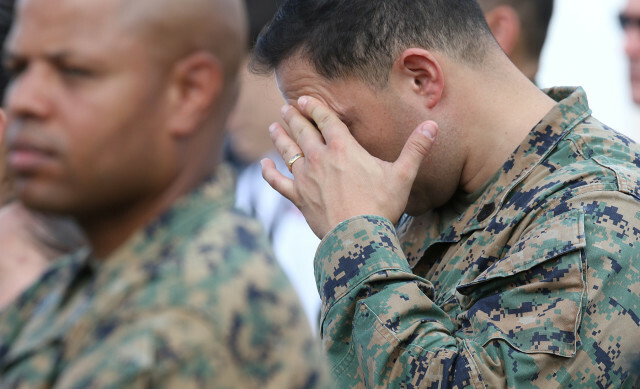 However, the colonel’s sacking is said to have “significantly disrupted the Squadron and was a contributing cause to this mishap,” according to a letter attached to the investigation from Commanding General of III Marine Expeditionary Force Lawrence D. Nicholson to Commander of U.S. Marine Corps Forces, Pacific Lt. Gen. David H. Berger. The search for the two downed helicopters and any survivors went on for several days, with recovery operations taking over Haleiwa Beach Park on the North Shore. 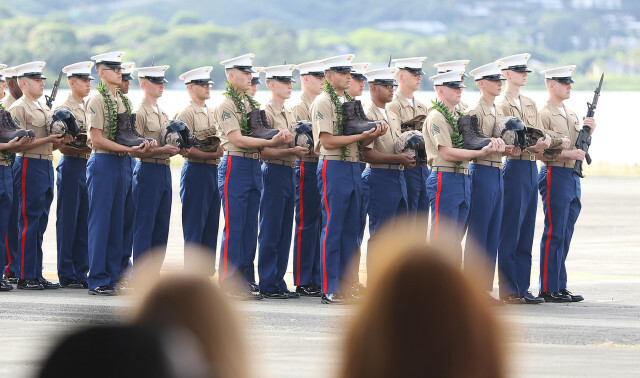 The report notes that Pavelka said he warned, “‘If the General wants up aircraft, the Marines will get him up aircraft,’ implying that readiness reporting will be inflated and corrupted.” He went on to say that his dismissal would put Marines at risk. The investigation notes that Sanborn acknowledged that Pavelka said his ouster was a mistake, but he maintained that Pavelka never said anything to him about safety. 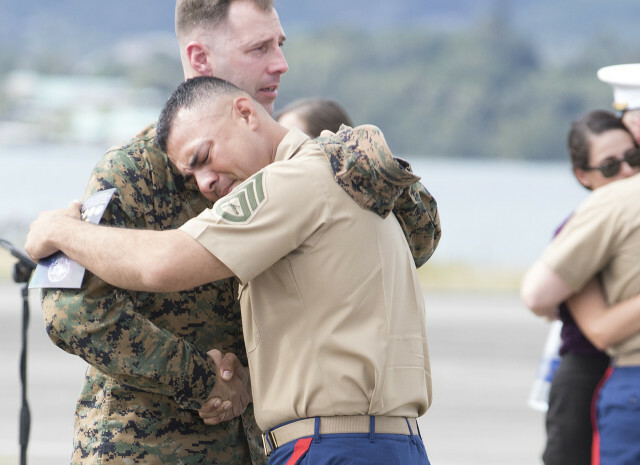 The new commanding officer, Lt. Col. Eric D. Purcell, formally assumed command of HMH-463 on the morning of the crash. The report said that a break in operations could have mitigated the risks that contributed to the accident. Purcell’s superior officer “underestimated the risk to flight operations” after Pavelka’s dismissal and “failed to recognize the need for an operational pause due to the disruption of command,” according to a letter from Gen. Nicholson, attached to the report. The CH-53E Super Stallion helicopter is one of the most problematic aircraft in use today, consistently ranking among the most crash-prone. 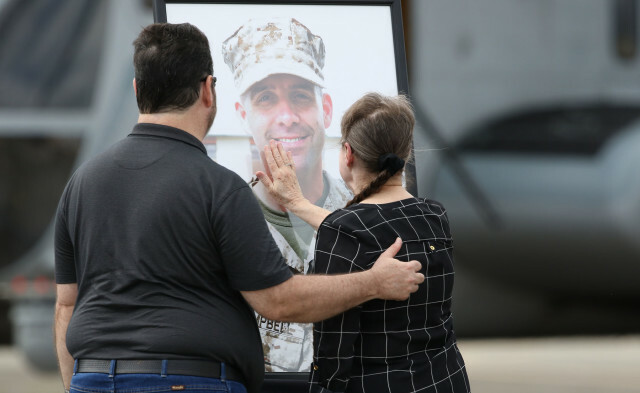 The 53E has consistently ranked among the military’s most crash-prone aircraft. Since the CH-53E and its Navy counterpart, the MH-53E Sea Dragon, were first introduced in the early 1980s, 124 sailors and Marines have died in noncombat crashes. 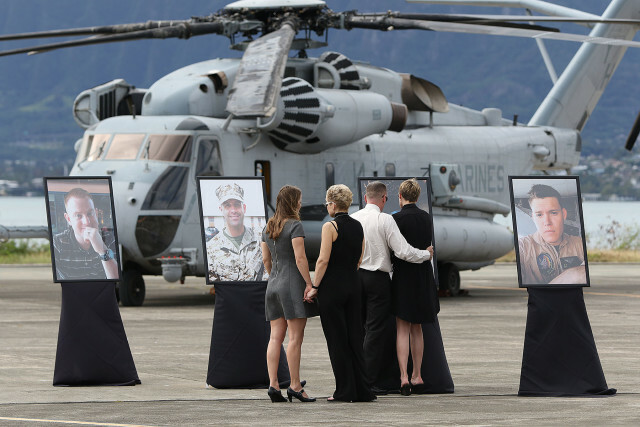 The crash investigation did not delve into reasons why resources were so scarce, but a separate investigation prepared for the Marine Corps last year, the Super Stallion Independent Readiness Review, found that CH-53E readiness was “appalling,” not just in Hawaii but across the entire fleet. As of May 2015, only 23 percent of the fleet was available for use, significantly lower than the Pentagon’s goal of 75 percent. 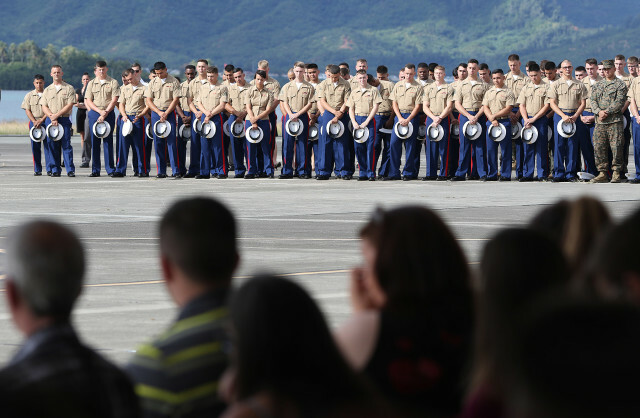 The review found that the Marines neglected to “reset” aircraft, or inspect, refurbish and overhaul them, after more than a decade of “very heavy and hard usage” in war overseas. By contrast, the review found, the Army’s CH-47D Chinook, a helicopter of similar age and profile to the Super Stallion, did go through a reset phase and in turn saw 71 percent of aircraft ready to fly. In August, the Marine Corps began restoring the entire CH-53E Super Stallion fleet. It will take three years to refurbish 147 helicopters and will cost $350 million. Leslie Danielle Cory contributed to this report. The Investigative Reporting Program is a professional newsroom and teaching institute at the Graduate School of Journalism at the University of California, Berkeley. 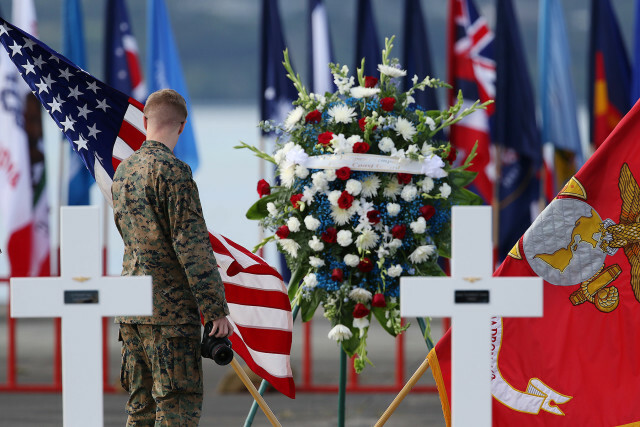 Marine walks near the tarmac fronting crosses and flowers at Marine Corps Base Hawaii. 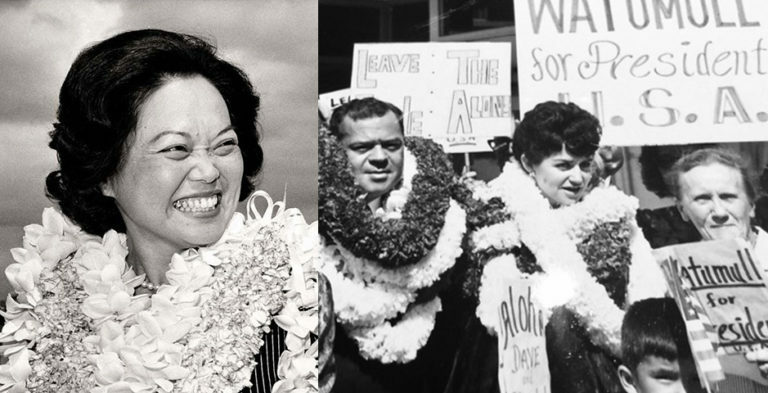 Kaneohe. Jason Paladino is a reporter at the Investigative Reporting Program at UC Berkeley and an alumnus ('15) of the UC Berkeley Graduate School of Journalism. He can be reached on twitter @jason_paladino. Zachary Stauffer is a reporter and producer at the Investigative Reporting Program. He is currently working on a documentary about Navy and Marine 53E helicopters. You can follow him on twitter at @ZacharyStauffer.